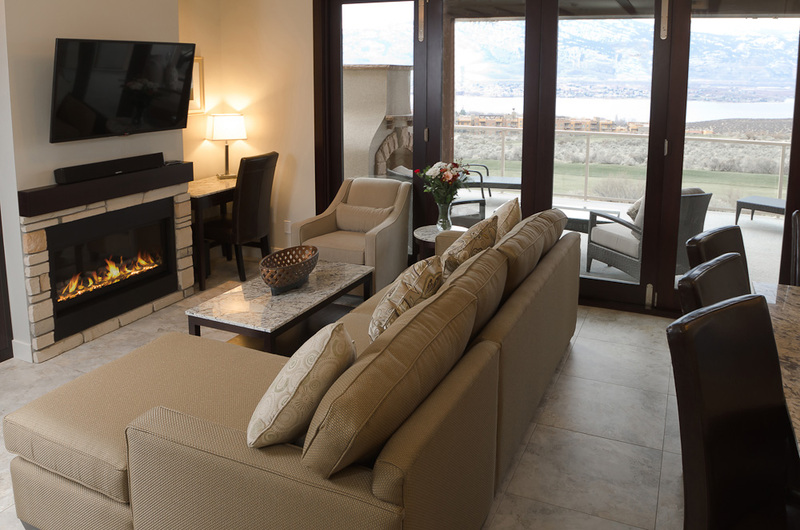 A stylish collection of two-and three-bedroom homes designed for year round living in Canada’s warmest and driest climate, the Residences at Spirit Ridge are perched above the acclaimed Spirit Ridge Vineyard Resort & Spa and the Sonora Dunes Golf Course. 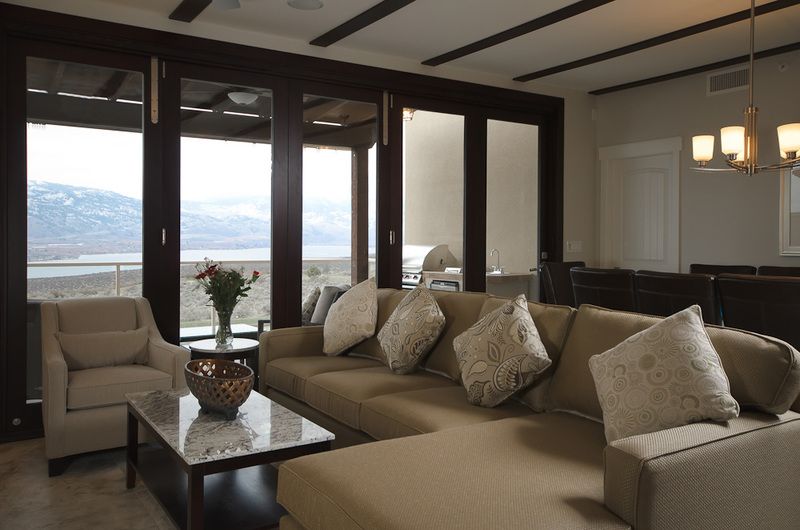 Each exclusive residence boasts spectacular million dollar views spanning the Great Basin Desert, vibrant orchards, award-winning vineyards, the sparkling waters of Osoyoos Lake and towering peaks of the Cascade Mountains. 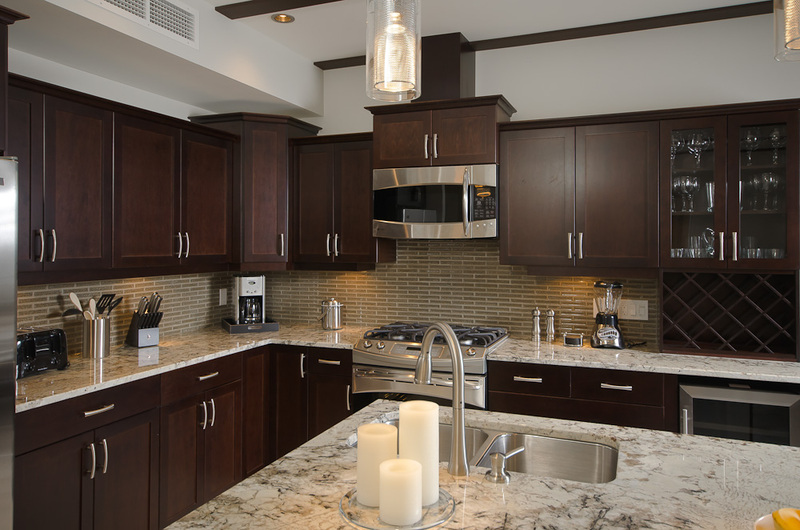 For the discerning buyer seeking a full-time residence, seasonal second home, or part-time vacation home, these luxurious and energy efficient homes provide a convenient lock and leave lifestyle in an exclusive, gated community. Southwestern adobe architecture adorns the semi-detached bungalow style homes which feature contemporary kitchens, luxurious en-suites, generous closets and ample storage. 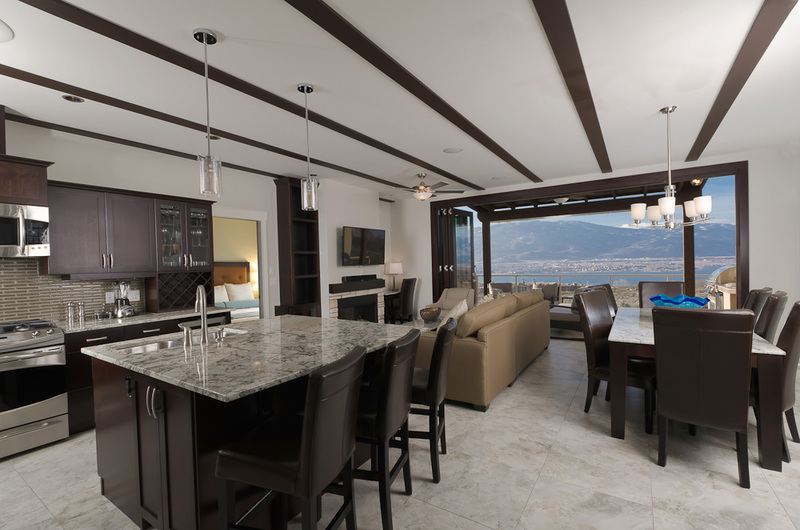 A dramatic glass wall that opens to expansive covered verandas and postcard views is a showpiece. 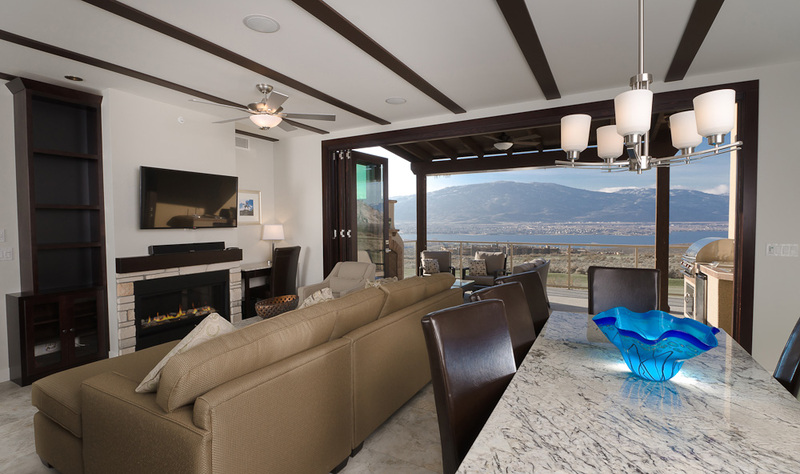 Those fortunate enough to call Osoyoos home relish the enviable outdoor environment as much, or perhaps even more, as their indoor living space. 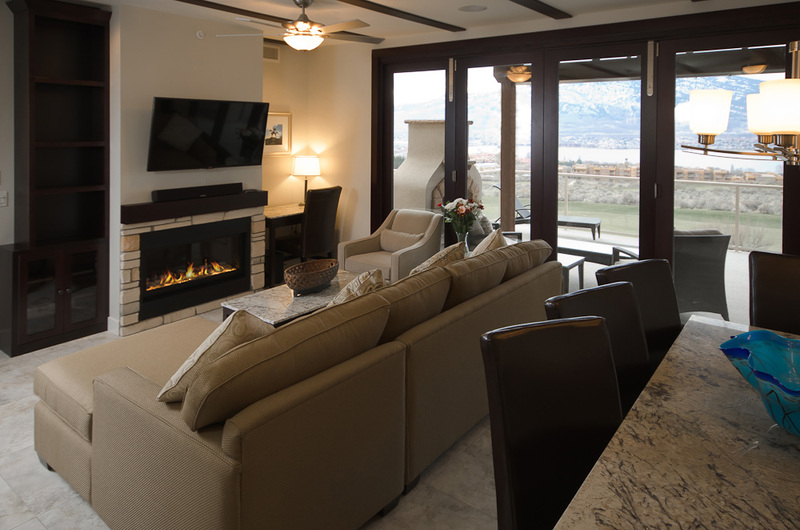 The Residences at Spirit Ridge Resort are unequaled in their celebration of this unique Okanagan lifestyle. 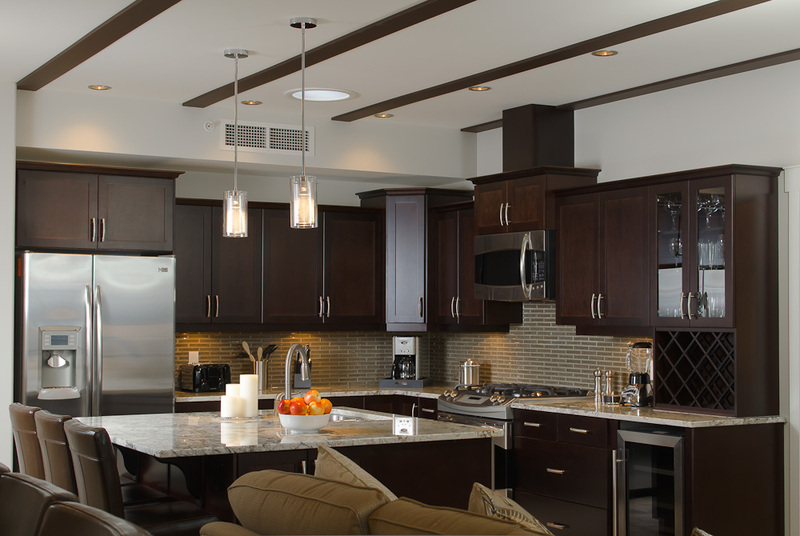 Carefully appointed “outdoor living essentials” include versatile cooking areas, ceiling fans, glass railings, covered roofs, large sun decks, optional gas fireplaces, attached double car garages and a variety of exquisite custom options are available. 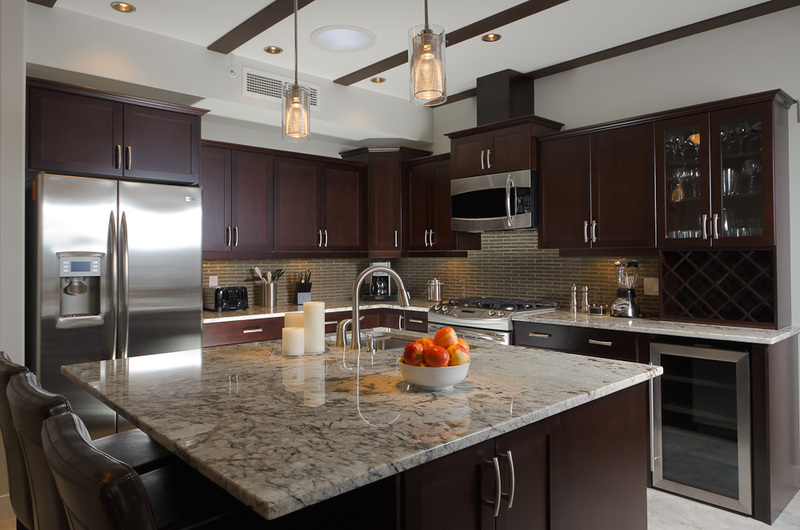 Home purchases at Spirit Ridge are GST and PTT exempt!